For students who are fluent in English, but for whom English has not been the primary language of instruction, Selwyn offers the International Student English Program. The program consists of two years of classes dedicated to English language development, including the speaking, reading, writing, and listening skills needed to excel in our rigorous college preparatory program. As participants in this program, international students receive an extra time accommodation in history and English classes during all their years at Selwyn. This class is required for all first-year students in the International Student English Program. 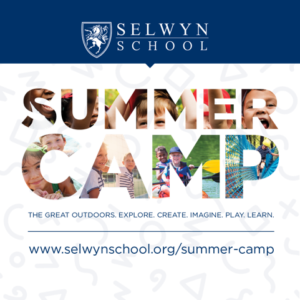 The course helps students acclimate to Selwyn School and to academic standards and practices in the United States. Students develop their familiarity with the tools available to them for their studies in English: dictionaries (bound and online), library reference and research databases, grammar resources, course-management, word-processing and presentation software. Throughout the course, students build their vocabularies and increase their oral communication skills through public speaking practice, interviews, group presentations and frequent discussion of readings. The course also offers intensive instruction in writing, with a special focus on learning the process of composing the expository essay. Students practice prewriting, thesis construction, paragraph development, drafting, and revision. Additionally, students are taught to apply US conventions of language and grammar outside the expository essay, in e-mail, letters, resumes, creative writing and presentations. This class is required for all second-year ISE students. Year two allows students more time and instructor attention to develop grade-appropriate English reading and writing skills across the Selwyn curriculum. The course emphasizes the development of composition skills through writing exercises that hone the use of correct grammar and punctuation. Additionally, students explore ways to craft more substantive thesis statements and build cohesive arguments as they use examples from their texts, employ correct citations and frame conclusions that are more discovery than mere summary. They work closely with the instructor in drafting, editing and rewriting assignments. Throughout the year, students further improve their reading comprehension by practicing annotation techniques and identifying significant passages in their texts for discussion. In the third block, rigorous attention is paid to the development of public speaking skills. Each module has a different content focus, though reading, writing, speaking and listening skills are developed and honed in with each module. Placement in the International Student English program is part of the admission decision, and the enrollment contract stipulates enrollment in the program.